The twenty-second session of the Conference of the Parties to the UN Framework Convention on Climate Change (COP 22), the twelfth session of the Conference of the Parties serving as the meeting of the Parties to the Kyoto Protocol (CMP 12) and the first session of the Conference of the Parties serving as the meeting of the Parties to the Paris Agreement (CMA 1) will be held in Bab Ighli, Marrakech, Morocco from 7-18 November 2016. The COP, CMP and CMA are the supreme decision-making bodies in relation to the implementation, respectively, of the Convention on Climate Change, the Kyoto Protocol and the Paris Agreement. 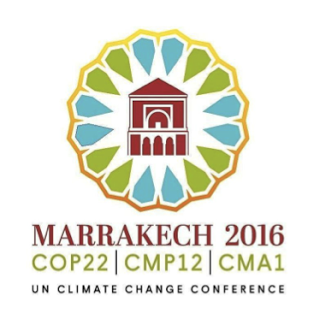 The COP22 will have the delicate task of implementing the details of the Paris Agreement that were established during the Conference on Climate Change (COP21) in December 2015 when 195 countries adopted a universal and legal binding agreement on global climate for the first time. The Paris Agreement establishes a comprehensive plan of action to put the world on track to avoid dangerous climate change by limiting global warming well below 2°C. start the process to define the information to be communicated on climate finance. All of these complex technicalities will determine the success or failure of the concrete application of the Paris Agreement.